Defined, jaundice is simply the yellow pigmentation imparted to the skin, sclera, and mucous membranes by bilirubin when elevated in a host of diseases. Jaundice develops when there is an overproduction of bilirubin and/or a defect in hepatic bilirubin uptake, conjugative metabolism, or biliary excretion. 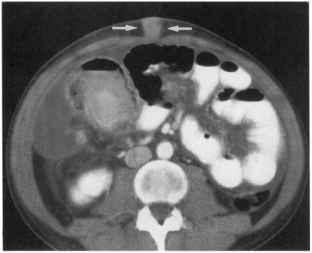 Clinical jaundice reflects hyperbilirubinemia. 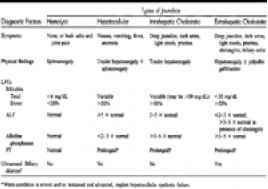 The clinical syndromes of jaundice are broadly divided into those characterized by predominate elevations in unconjugated or conjugated bilirubin. Unconjugated hyperbilirubinemias are less common and reflect overproduction, decreased hepatic uptake, and decreased conjugation. Conjugated hyperbilirubinemias result from a variety of processes that cause cholestasis, broadly divided as intrahepatic and extrahepatic. 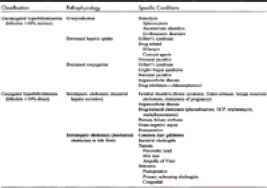 T§bJe.82-3 outlines the distinguishing clinical features of these general classifications, and T§b!e..82:4 provides a differential diagnosis useful once a categorical diagnosis is made.